The MGroup are excited to announce we are presenting a FREE Property Seminar on Thursday 18th October. We are teaming up with Martin & Co and Everyman Legal to host this informative seminar for current and potential landlords. The two key themes of the event are the local property market and tax. 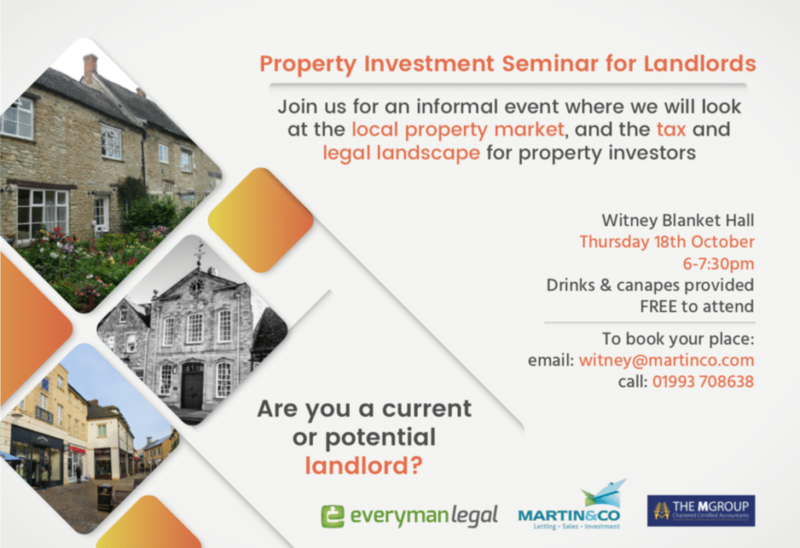 It is being held at the Witney Blanket Hall from 6pm – 7.30pm with drinks and canapés included!